HalleluYah!!! All praise, honor and esteem to the Most High YHWH for He is awesome in all His Ways. We, as a team, humble ourselves before Him and thank Him for the fresh new projects we are about to start for 2019. 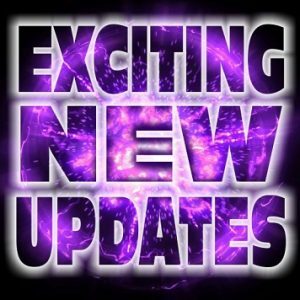 We are excited about these new projects as it will help believers to reach many with Truth. The first of these projects will be so important and is very urgent for His people all over the world and we are so honored with the vision of this special book that will change many lives all over the world. We as believers will benefit greatly with this book. When it is completed we will share this with you all and we know you will be just as excited as we all are. HalleluYah. We are also working on 2 other books that will also help many to study His Word for we feel it is important for His people to search His Word for all TRUTH and not rely on man to teach his ways, this we feel has bought much confusion to believers and caused them to leave this movement as they see confusion, arguing and a lot of hate, this is heart breaking and we know is not part of the Father or His Will. The 4th book is one that the whole family or believer can have a lot of fun with, it will help you learn His Word more and also at the same time you will have a lot of fun. We would like to produce this book regularly as we know many of you will help a lot of fun. We thank you all so much for your support over the years and have enjoyed coming to know thousands of believers all over the world, it has been a great honor to connect with you all. We have enjoyed this work and each day brings something new and exciting and also has bought many tears of joy. 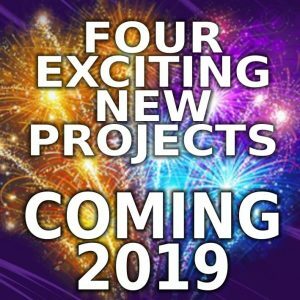 We are also working on a number of other projects that we pray will be ready in 2019, the Children's Book Movie 2, Children's Coloring Book 2, Audio Books Psalms and Proverbs to name a few. The Spanish work is being worked on full time and we pray to have it completed in or around another 18 months to 2 years. It will be the only one of it's kind that will be the closest to the Hebrew than any other edition and we know how important it is but we need to translate it right. Please keep this small team in your prayers. We, as a team, really need your daily prayers as this work gets harder each time due to law changes all over the world. We cannot pay for prayer, so your prayers are worth more than all the gold in the world. As most of you know, the world is changing and many laws are coming into place that will cause a lot of major changes to all our lives, this is why we are working as fast and as much as possible to get His Word into countries and places so that when the doors close for shipping, we have stock in those countries for His people. Again thank you from the bottom of our hearts for all your support.